Poppins Toy Chest & Grey Star Cushion | Great Little Trading Co.
DON'T MISS 20% OFF EVERYTHING! LIMITED TIME ONLY: SHOP 20% OFF EVERYTHING! Washing instructions: Cushion cover washable at 30 degrees. Remove foam pad before cleaning. Here's the key to a tidier bedroom, or any room for that matter. 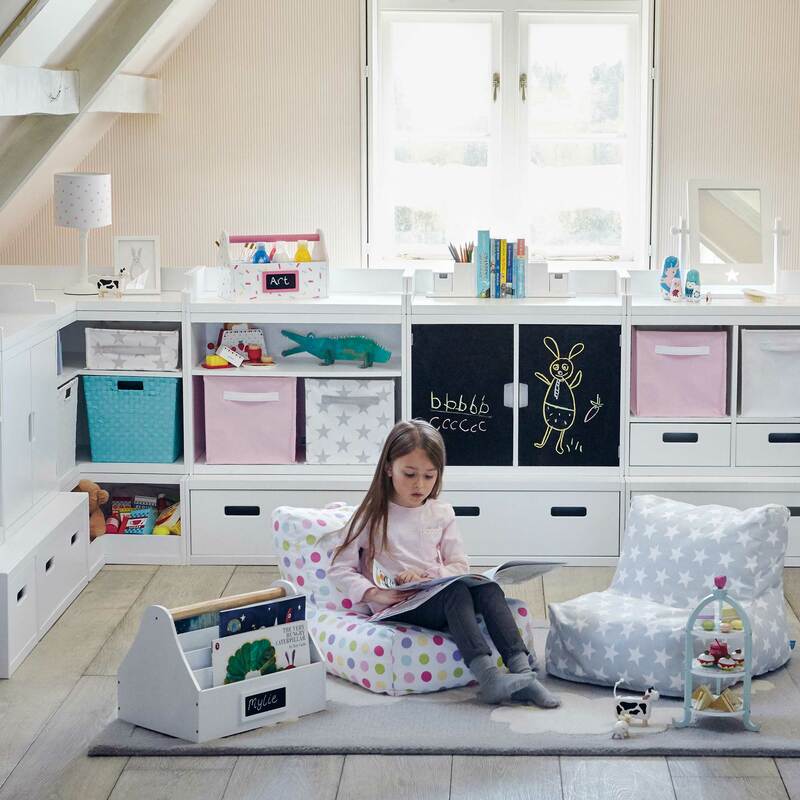 There's a huge main storage compartment in this toy box, with a drawer for smaller bits and pieces so they don't get lost at the bottom… All that, and the cushion turns it into a handy extra seat! 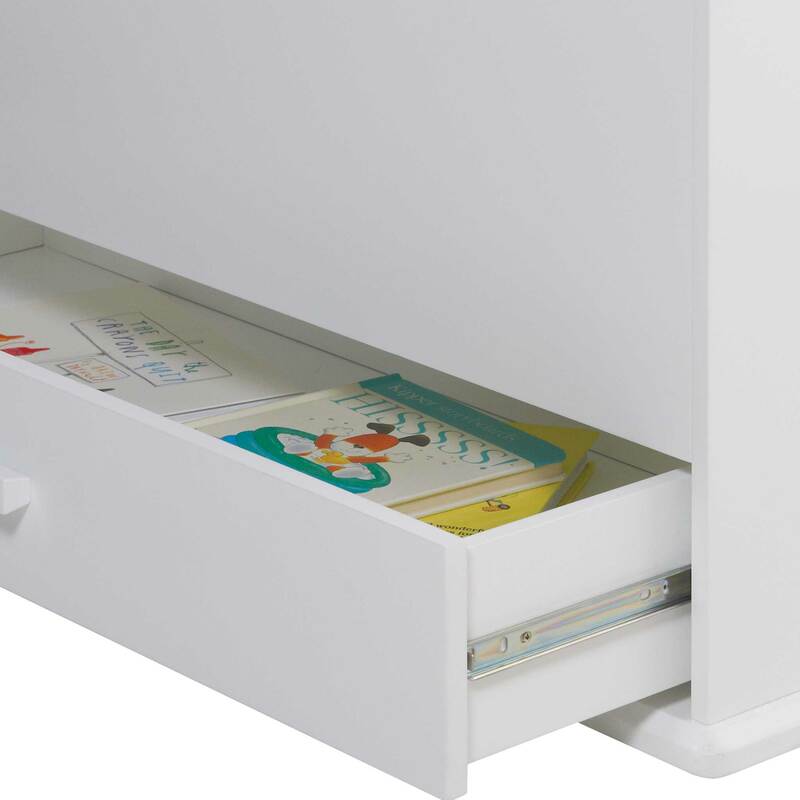 The storage section features a safety hinge to protect little fingers and cut out handles for easy moving. The cushion's made from 100% cotton and is machine washable; it's also available with Bunny Hopor Zigzagcushions. 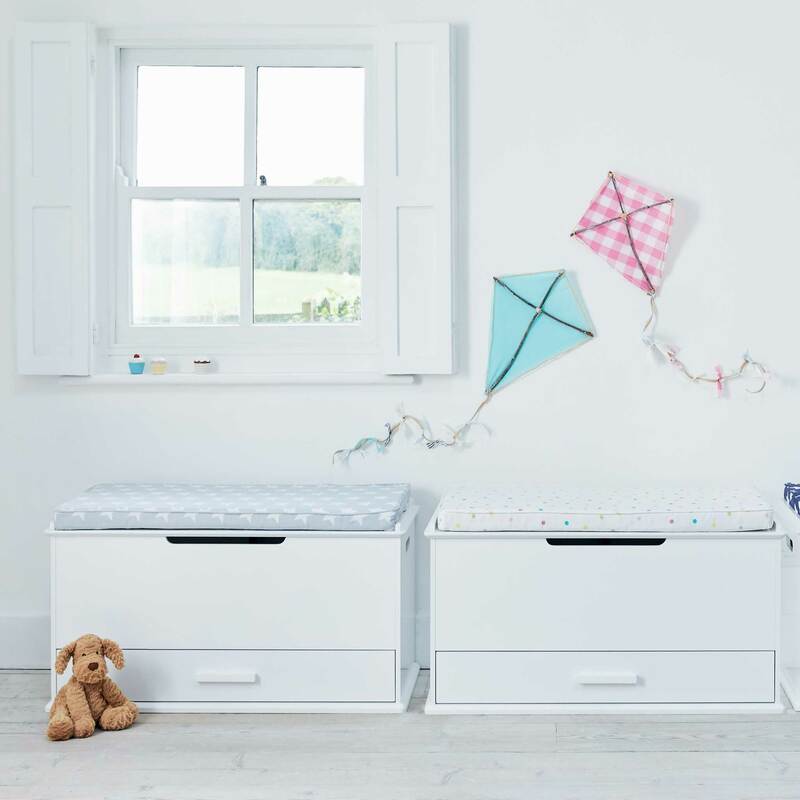 If you're facing a major clutter crisis have a look at our Northcote Modular Storage or our Abbeville Cube Storage and the matching Grey Star Storage Cubes; we also have matching Stacking Toy Boxes, Blackout Curtains and Children's Bedding in this exclusive design. Washing Instructions:Cushion cover washable at 30 degrees. Remove foam pad before cleaning.